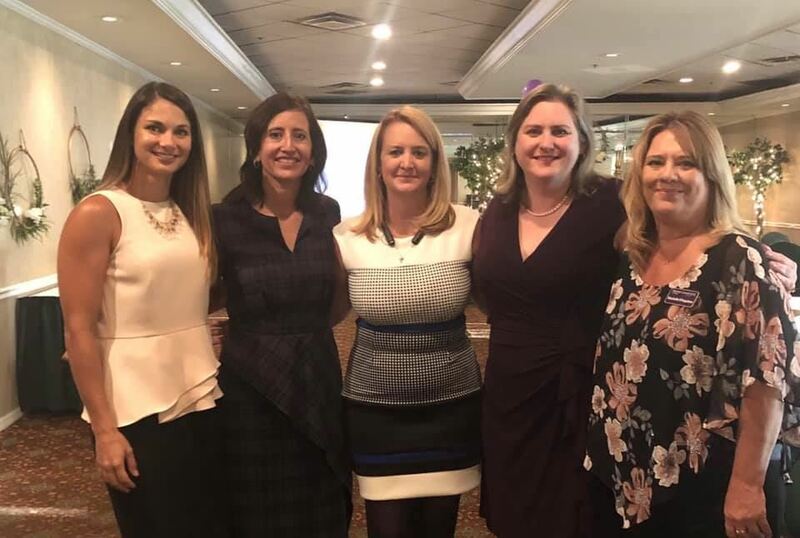 The mission of the Women Lawyers of Pasco is to actively promote and recognize the leadership roles of its members in the legal profession, judiciary and community at large. To achieve this goal, Women Lawyers of Pasco will provide support and networking for women in the legal community, promote the professional image of women lawyers and encourage camaraderie, integrity, honor and courtesy within our profession and our community. In 2014, Women Lawyers of Pasco became a chapter of the Florida Association for Women Lawyers (FAWL). FAWL has over 3,000 members and over 30 chapters around the state. Congratulations to the Honorable Kimberly Sharpe Byrd, center, on winning the WLP Judicial Professionalism Award. Pictured here with her JA Shannon, left, and WLP President Mischelle. Jenny Sieg grew up in Pinellas County and graduated from the University of Florida in 1994 with a bachelor of science degree in Political Science. She immediately returned to St. Petersburg and earned her Juris doctor degree from Stetson University College of Law in 1997. After working at the Florida Attorney General's Office for seven years, Jenny moved to Pasco County and became the Coordinator of the Paralegal Program at Pasco-Hernando Community College in 2004. In 2006, she entered private practice and opened her own firm in 2011 in New Port Richey . In 2012, she merged her law firm with the firm of Ernest G. Cole. Jenny lives in Trinity with her two children and her husband, David. Jenny is a member and past president of the West Pasco Bar Association as well as the Women Lawyers of Pasco. 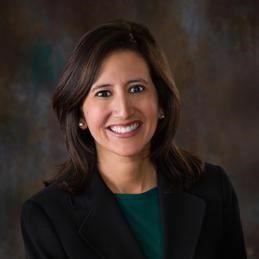 She is the current Secretary and Past Treasurer of the Florida Association for Women Lawyers, Member of the Greater Pasco Chamber of Commerce, Member of Wesley Chapel Chamber of Commerce and active in other local and state organizations. 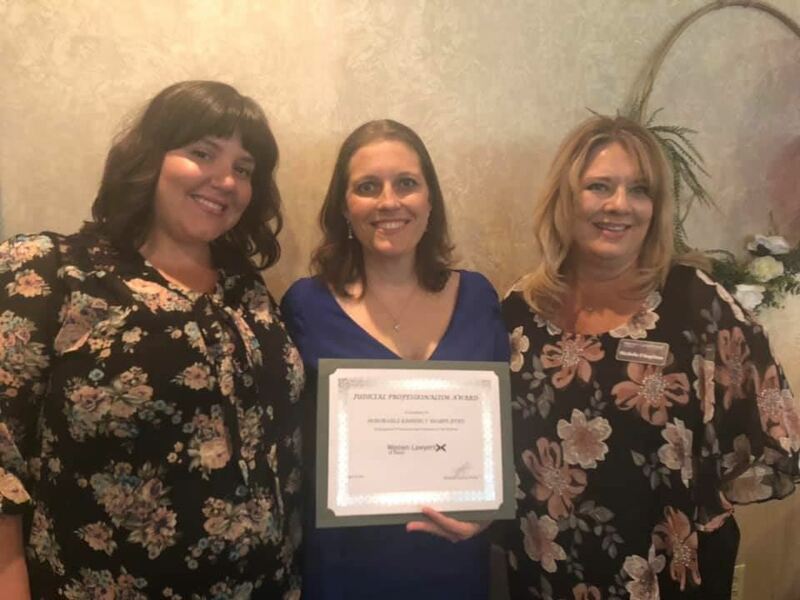 On a community level, Jenny has been exceptionally supportive in numerous Pasco County Parent Teacher Organizations and served on the Florida Bar's Grievance Committee for the Sixth Judicial Circuit. In June, she will be sworn in as the Development Director for The Florida Association for Women Lawyers. 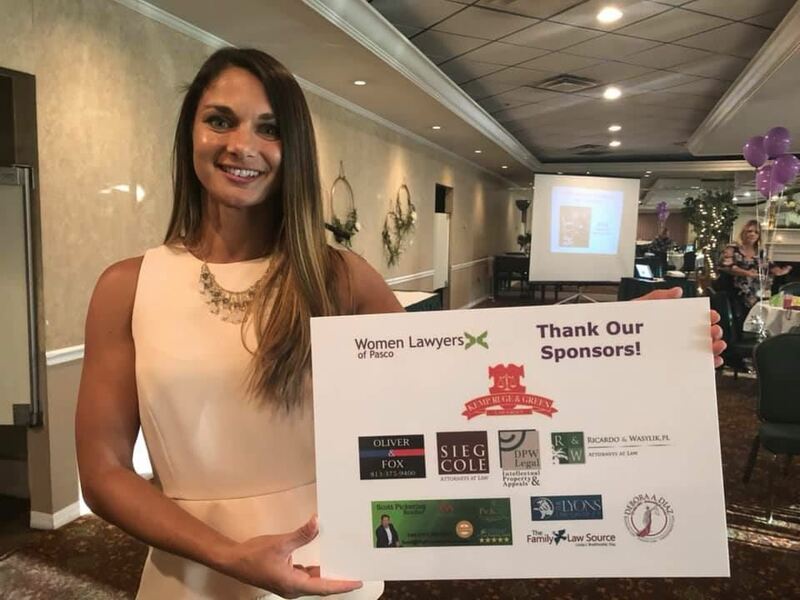 We are beyond grateful to have Jenny in our Association, she is largely instrumental for coordinating the Annual Judicial Reception sponsored by the Women Layers of Pasco County.